Often times, writers have great material, but they lack the resources to have their manuscript professionally edited, designed, printed, and distributed. Several Koehler Books authors have overcome that financial hurdle through crowdfunding. 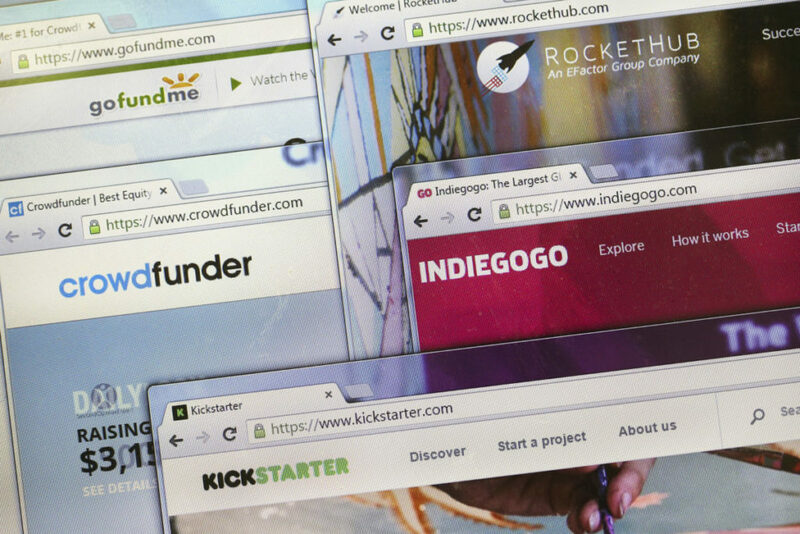 Book crowdfunding projects are frequently tied to non-fiction self-help books that do something to improve the world, but works of fiction can also have successful crowdfunding campaigns through online services such as Go Fund Me, Kickstarter and Indiegogo. Another excellent crowdfunding site, and our favorite for authors, is Publishizer. They work exclusively with writers and authors to help them meet publishers and raise money for the project. In our opinion it is the best crowdfunding option specifically suited for writers. We have published and worked with several Publishizer authors. Author D.J. Lutz raised his entire development costs for his book through a campaign he managed and offered to thousands of followers, families, and friends. Read his tips for crowdfunding novels. D.J. says that it is all about relationships and took about six months. Write a great book! This is the alpha and omega, whether you crowdfund or not. Develop your website through blogging and other social media well before you start your crowd-funding campaign. Be clear on how much money you need. Consider not only the creative-production costs of your book, but also the funds to purchase books for marketing events, signings, and giveaways to backers. Write a compelling campaign narrative. Show the cover, the author, and a video. You have to grab a potential supporter’s attention to win her love. Hire marketing pros if possible. They’ll help you set the right tone and trajectory for your video or other promotional campaign. Use your social media to go after your followers. You will need them to spread the word about your fundraising efforts. Pay attention to your web-traffic and analytics. They help you make smarter choices and refine your marketing efforts. Aim to get the initial third of funding from family and friends. They should be your biggest fans. Give every supporter an ebook, and every major supporter a signed copy of your book and offer to speak at events they stage or are involved in. Supporters could be church groups, civic organizations, sports clubs, schools, book clubs, libraries . . . the possibilities are endless. Always say “yes” when invited to speak. Publicize and promote your success. Announcing success is not bragging. Note: Crowdfunding sites take a 5-30% fee from the proceeds raised.